The recent announcement made by HRD Minister Prakash Javadekar in the question hour of the parliament on Monday 30th July 2018 was regarding the clarification about the mode of NTA JEE Main 2019 and NEET 2019 entrance examination. This is just one out of the many changes that are expected to take place in major level entrance examinations conducted by NTA. However, we have thought of some of the major changes that are likely to be undertaken by NTA looking at the current scenario. On July 7th, 2018, the announcement of one of the major changes in the entrances examinations had been made by HRD minister and it is now confirmed that the National Testing Agency will be conducting the JEE Main 2019. The national level engineering examination was earlier conducted by the CBSE (Central Board of Secondary Education). JEE Main 2019 Admit Card Available from 20th March 2019 onwards! There were other major changes that were announced by the NTA. The JEE Main 2019 will now be conducted not just once but twice in an academic year. Candidates will also have to take the exam in the computer-based mode. There is no offline mode to take the NTA JEE Main 2019. The NTA announced that some of the elements of JEE Main 2019 will remain the same like the syllabus and exam pattern. But apart from this, there was no other significant and detailed information released by NTA. Candidates are, however, confused if there are going to be any changes further as the school/state Board exam will be conducted around the same time as that of JEE Main 2019 sessions. If you too are thinking of what could be the anticipated changes in NTA JEE Main 2019 that are likely to be announced in the coming months, then you can check a few changes that have been listed below. The biggest change made in the mode of exam is from offline and online to completely computer based exam. The HRD minister clarified that JEE Main 2019 will not be online but computer-based where candidates will have to answer in an already downloaded sheet. This has already created confusion among candidates as to what difference does an online and a computer based exam has. This decision to change the mode of examination will probe a problem for all students who have never taken a Computer Based test (CBT) before. But candidates can take 2-3 practice test in centres that will be set up with the aim of helping candidates to take the real time JEE Main 2019 easily. With such problems at hand, we think that the switch to pen and paper based mode of NTA JEE Main 2019 is likely to take place. There is, however, no official notification released as of now regarding the same. The National Testing Agency has announced the JEE Main will be conducted in 8 slots. Those who wish to take the JEE Main 2019 will first be required to book a slot from the ones available. But with the exam being conducted in only the computer based mode, it is quite likely that the number of slots will increase. This leads to another problem where if the difficulty level of each slot has even little variation, the results will be impacted drastically. There is no officially announced news that normalization procedure will be used for JEE Main 2019 but seeing the current scenario, it is expected that the normalization procedure will be used in calculating the JEE Main Result 2019. Although the NTA official news has published that the JEE Main 2019 syllabus and exam has been left unaltered, there are speculations that there is going to be some change in the exam pattern and syllabus. Keeping in mind that the JEE Main aspirants include both the state board and CBSE students, it is anticipated that NTA JEE Main syllabus will change slightly to bring all candidates under the same platform. The exam pattern is likely to change but no matter what changes occur, candidates must keep their preparation going to qualify the exam with flying colours! 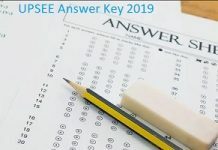 With the NTA JEE Main being conducted twice in a year, the first question arises in a student’s mind is “what are the number of attempts to take JEE Main 2019?” Earlier a JEE aspirant could take a maximum of 3 attempts in 3 consecutive years. Now, with the new structure of exam under NTA, the Joint Entrance Examination Main will be conducted twice in a year; once in January and again in April. There is no notification released on this matter as of now, but one can say that the number of attempts now will be extended to 6. What about the Architecture students? In such a situation it is anticipated that Architecture aspirants will have to take the drawing test in pen and paper based mode only. Therefore, students applying for B. Arch/B. Plan course through JEE Main 2019 must prepare accordingly. 5 What about the Architecture students?